The all-new IC-400-T packs proven materials and wide dispersion horn technology into an installer-friendly, UL-2043 and 1480 certified value-priced loudspeaker with an integrated back can and multi-tap transformer. IC-T Series speakers have been included in a number of major installations nationally, from Bloomingdale’s in New York City to the Ron Jon Surf Shop in Orlando. 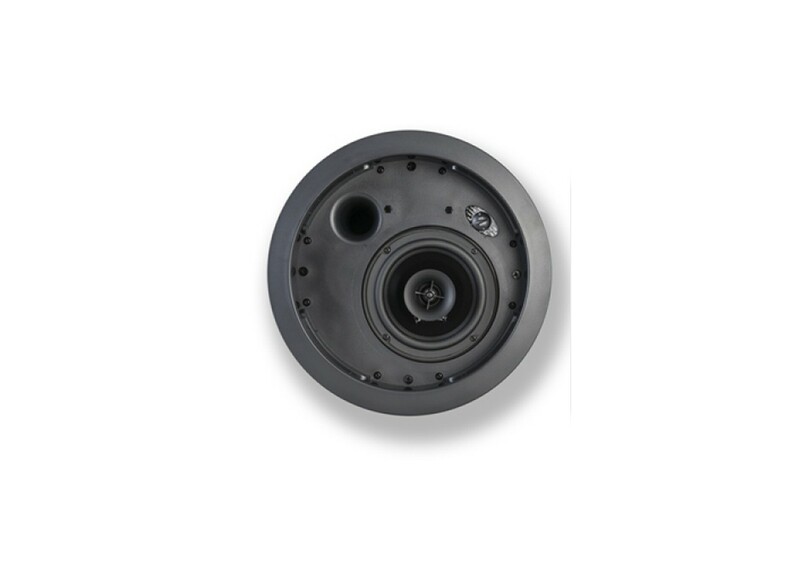 The two-way IC-400-T features a 5-inch woofer, and 1-inch titanium diaphragm compression driver on a 2-inch round Tractrix Horn for smooth response with constant directivity. A Tractrix port design helps to provide deeper, fuller bass with less compression and distortion. A new, more compact design simplifies low ceiling mounting. For distributed line applications, the IC-400-T features a 70/100 volt multi-tap transformer. A single rotary switch for the 8-ohm bypass and multi-tap setting is conveniently located under the speaker grille. The IC-400-T is shipped complete with a tile bridge for installation in a suspended ceiling or wherever additional reinforcement of the ceiling material is required.